Dealing with a spiral fracture of humerus is not easy because it can cause severe pain and numbness in your hand and fingers. Know ways to lower your risks in the first place. 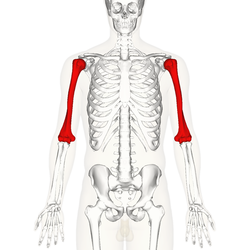 The humerus is a long bone that runs from your shoulder joint to your elbow joint. You cannot lift something heavy if that bone is not strong enough. It is actually the third biggest bone in the body, after the thighbone (femur) and the shinbone (tibia). Your humerus needs to be in a good condition and fully functional to allow you to use your elbow. Certain injuries can affect the way your humerus functions and that is truly the case when you have a spiral fracture with your humerus. You may develop a spiral fracture pattern in the humerus due to some twisting injuries. You develop it in the shaft of the humerus when you lock your lower arm or have it trapped in machinery while the body rotates. 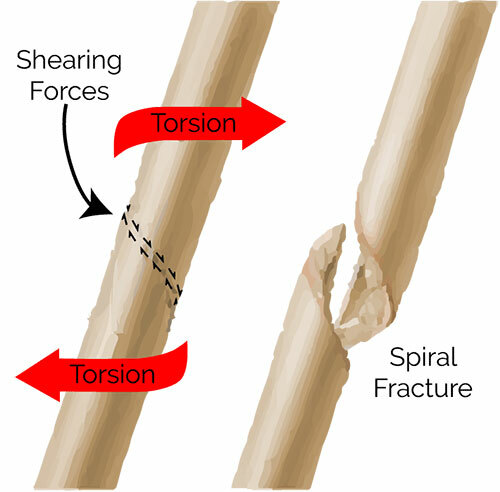 Similarly, direct twisting forces applied during arm wrestling or throwing may also cause a spiral fracture in humerus. If you have developed a spiral fracture, humerus will sure suffer and several symptoms will occur. You may develop severe pain after an injury or a sudden force on your upper arm. You may not be able to control the lower part of your arm and it may go limp. You may experience severe pain when you move your arm. Your upper arm may be deformed with a bend in the bone. You may see the bone ends in case you have developed an open fracture. You may see the fracture site swell quickly after the injury. You may see purple discoloration and bruising after an injury. You may develop numbness below the break in case you have sustained an injury to a nerve. You may not be able to lift the wrist or even straighten your fingers if you have injured the radial nerve. Your hand may become numb and cold if you have damaged blood vessels. You may not notice any pulse at the wrist after the injury. You may have to deal with certain symptoms of tenderness, pain, bruising, swelling, and pain in the arm even after you start receiving treatment to stabilize the fracture. This is usually the result of the injury around the broken bone. While your symptoms may improve after a few weeks, you should seek medical attention if you develop numbness in the affected area. You do not usually need any surgery to treat a spiral fracture in humerus. You have to wear a special splint to keep your arm in a cast to minimize movement. An open fracture may require surgery though – your doctor will repair the humerus with screws, plates, or a metal rod. You also need to take antibiotics intravenously when you have an open fracture. It is important to receive physical therapy after your humerus starts to heal. Your physical therapist helps improve strength in your arm muscles and works to restore normal range of motion in your shoulder and elbow. You have to work with your therapists for several months to ensure proper recovery. Nonunion: You develop a nonunion when your broken bone fails to heal, and the bone may not heal completely if you do not address the underlying problem. Smoking tobacco is amongst the most common causes of a nonunion. Malunion: You develop a malunion when your bone heals but is out of its proper alignment. This happens when you fail to immobilize your bone during recovery. Surgery may be required to keep a bone from healing a wrong position. Nerve Injury: There are nerves traveling down your arm and moving very close to your humerus bone. Any injury to this area can affect the radial nerve that limits sensation to the back of the hand. A nerve injury may take several months to recover. Elbow or Shoulder Stiffness: It is quite common to develop shoulder stiffness or weakness after a proximal humerus fracture, whereas a distal humerus fracture can cause elbow problems. Weakness is usually the result of tendon or muscle damage. Maintain a healthy diet. You should eat calcium-rich foods, such as yogurt, milk, and cheese for bone strength. Be sure to increase your vitamin D intake as well to improve the absorption of calcium. Fortified foods, such as orange juice and milk; fatty fish, such as sun; and sun rays are the best sources of vitamin D.
Exercise regularly. You should work with your physical therapist and perform weight-bearing exercises to improve posture and balance. You should perform strengthening exercises to lower your risk of sustaining bone injuries. Take steps to prevent falls. The most common cause of having a broken arm is to fall forward onto your outstretch hand. You should wear proper footwear and take steps to eliminate home hazards to lower your chances of falls. Ensure that you have adequate lighting in your living space and have grab bars in your bathroom with handrails on your stairways. Use protective gear. Be sure to wear protective gear when engaging in high-risk activities. Wearing wrist guards offers good protection when engaging in activities such as snowboarding, skating, football, and rugby. Pes planus can occur both in adults and children over the age 5. Adults can wear special footwear and orthopedic device help develop the arch in growth. Is It Good for Your Back If You Sleep on the Floor?